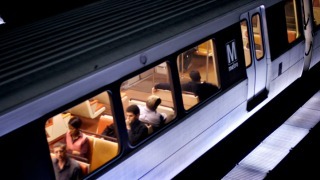 Commuters on three Metro lines may experience delays Friday morning. Late-clearing track work near Foggy Bottom canceled service between stations on the Blue, Orange and Silver lines during the start of the morning commute. At one point, trains on all three lines were single-tracking between several stations. Normal service has resumed, but Metro says residual delays continue in both directions.